The police have promised to reward anybody with useful information that can lead to the arrest of the killers of their personnel in Edo State, as well as in Abuja. 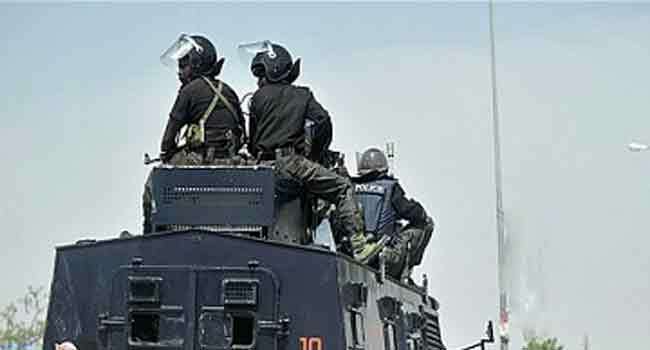 Force Public Relations Officer Jimoh Moshood disclosed this in a statement on Monday, barely two weeks after seven other officers were killed in the nation’s capital. He confirmed the murder of four police officers on Saturday last week by suspected armed robbers, while on patrol at Sabon Gida in Ora area of Edo State. Moshood said the patrol vehicle conveying the personnel fell into an ambush and later burst into flame, killing them in the process. He noted that investigations into both incidents are ongoing while the police have promised to reward anyone with useful information that can help the Force in the investigation. The Force spokesman, however, said the investigation conducted so far has not established any link between both attacks, although they have been receiving useful information. He insisted that despite the attacks on police personnel, the Force would not relent in ensuring that crimes and criminalities were brought to the barest in the country.